Joe Giudice's daughters Gia and Milania say they will do "everything" they can to fight his deportation. 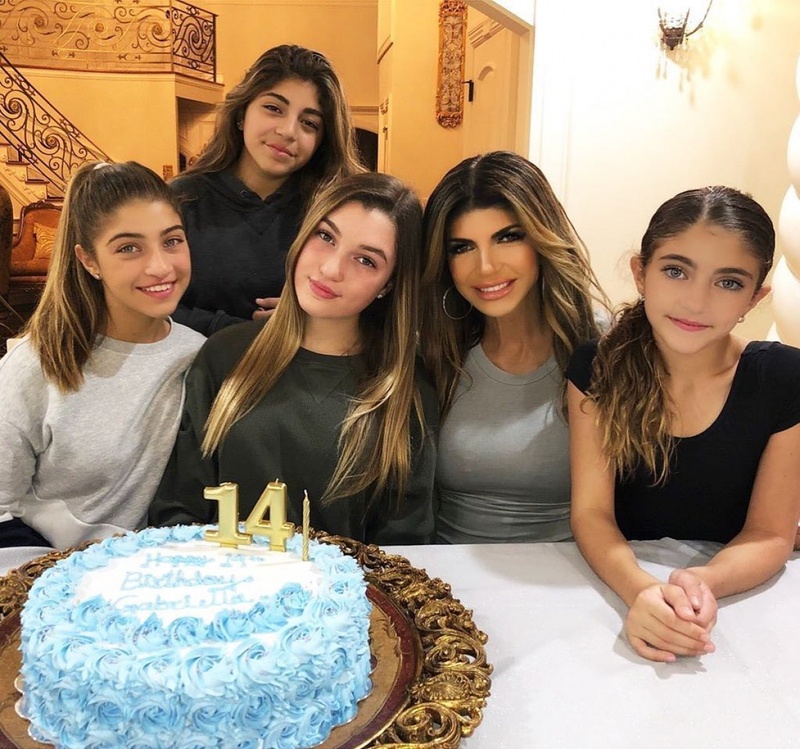 Gia, 17, and Milania, 14, two of Joe and "The Real Housewives of New Jersey" star Teresa Giudice's four children, voiced their heartbreak in Instagram posts Sunday after Joe was ordered to return to Italy after his prison sentence. "My dad, who is the best dad in the world, needs to come home. We aren't done fighting dad," Milania captioned a slideshow of photos with her dad. "I can't believe this is happening. I can't imagine another day without you," she said. "We are gonna do everything we can to fight this daddy!! I love you with all my heart buddy #heartbroken." Gia urged her followers to take action and support Joe's cause in a post on her own account. "My father is no threat to society," the teenager wrote. "My father did his time and learned from his mistakes. Isn't being in there supposed to make you realize your mistakes so you can become a better person? And that's exactly what my father did." "We have so many plans to do as a family when he gets out. I need my father to be here. My father belongs with us and his entire family. My father came into this country when he was one years old, the United States is the only country he knows, spread the word #bringjoehome," she added. Joe is serving a 41-month prison sentence after pleading guilty to fraud with Teresa in 2014. He is expected to appeal a judge's decision to deport him to Italy at the end of his sentence. Teresa, who is also parent to daughters Gabriella and Audriana with Joe, broke her silence on her husband's deportation ruling Sunday on Instagram. She shared a photo of the Statue of Liberty covering her face with her hands. E! News said last week Teresa is "devastated" by Joe's deportation order. A source said "The Real Housewives of New Jersey" star is focused on caring and being strong for her daughters.